Did you know that a job or work that is mentally demanding can actually help protect your memory and thinking skills later in life? According to a new study published in the journal Neurology, challenges at work can be positive if they build up mental reserve over the long term. In fact, the type of career you have may be even more important than your education level for protecting brain health. In the study, a thousand people over age 75 were given memory and thinking tests every 18 months for eight years. Researchers rated participants’ work history based on how often participants had to schedule activities, resolve conflict, develop strategies and perform other complicated tasks. They found that those who had the highest levels of tasks that stimulated verbal intelligence and executive functions during their career had half the rate of mental decline compared to those with low levels of mentally demanding tasks. One of the first signs of age-related cognitive decline is a decrease in executive function—the ability to organize thoughts. But just as lifting weights builds muscle, handling challenging mental tasks every day may strengthen neural processes that then build up mental reserve in old age. So take your job and love it—it may be the ticket to enjoying a great retirement! Optiminds has earned a reputation for helping students of all ages improve study, reading, math and cognitive skills. 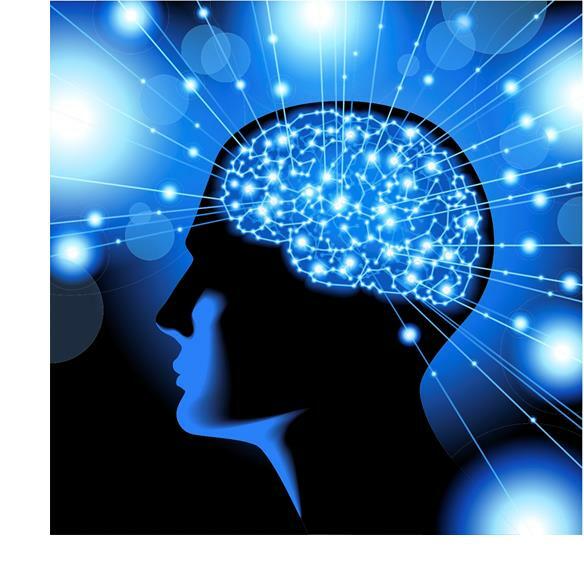 Our customized brain fitness programs take brain performance to new levels by strengthening nerve cells and improving cognitive power and concentration. Learn more about us by calling us today at (248) 496-0150 or by visiting us at: optimindsct.com. With nearly 100 billion neurons and 100 trillion connections, the human brain remains one of the greatest mysteries in science and one of the greatest challenges in medicine. In the last decade alone, scientists have made a number of landmark discoveries that now create the opportunity to unlock the mysteries of the brain. Recently, the National Institutes of Health (NIH) issued its first research awards for what’s been called America’s next moon shot: the Brain Research through Advancing Innovative Neurotechnologies (BRAIN) Initiative. The BRAIN Initiative is part of a new Presidential focus aimed at revolutionizing our understanding of the human brain. By accelerating the development and application of innovative technologies, researchers will be able to produce a revolutionary new dynamic picture of the brain, giving us new ways to treat, cure, and even prevent brain disorders. The hope is that the Brain Initiative will result in the development of innovative technologies to capture dynamic pictures that reveal how the brain’s cells and complex circuits interact at the speed of thought. This in turn will enable scientists to transform how we diagnose and treat a wide range of conditions, including Alzheimer’s disease, Parkinson’s disease, autism, epilepsy, schizophrenia, depression and traumatic brain injury. Optiminds is a cognitive-based, professional brain training skills center that has earned a reputation for helping students of all ages improve study, reading, math and cognitive skills. Learn more about us by calling us today at (248) 496-0150 or by visiting us at: optimindsct.com. Looking for a way to help your children keep their brains in shape over the summer? Optiminds is once again offering its popular Cognitive Camp from June 22 to August 7 at Groves High School in Beverly Hills. You can choose between our 8-week, full-day camp (6 hours) or half-day (3 hours) sessions. And you can choose to attend by the day or the week. Special pricing is available for families with more than one student. 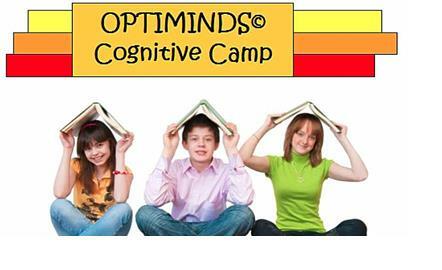 Call us today at (248) 496-0150 to enroll in the Optiminds Cognitive Camp before our sessions fill up. Optiminds has earned a reputation for helping students of all ages improve study, reading, math and cognitive skills, including memory. You can learn more about Optiminds by visiting our website at: optimindsct.com. Brain research has been a very active field in recent years and we continue to learn new things about our brains all the time. 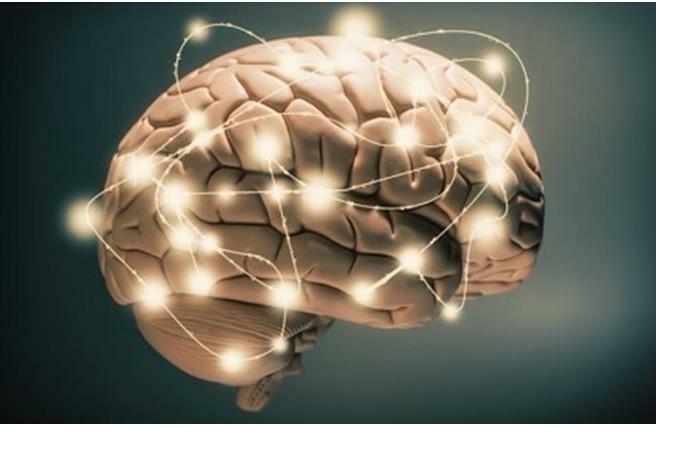 Scientists now know, for example, that the brain remains malleable even into old age, taking in new information, processing it and sparking new neurons. We also know that any mental workout—from learning a new language to playing computer games—produces changes in the neural systems that support acquisition of the new skill. But while there is data to support that people who play brain games, for example, get better and faster at playing them the longer they participate, what is not yet known is whether or not these abilities are able to be transferred to everyday, real-world tasks. As researchers continue to study whether or not activities such as playing brain games have long-term cognitive benefits, it’s good to know that if you find brain games enjoyable, playing them certainly can’t hurt. The best way to keep minds sharp is to remain active and engaged—and that includes physical activity, reading and socializing with friends. Do you have a family member who is struggling at school or who could use a little help sharpening their memory skills? Why not gift them an Optiminds cognitive training program to give them a little boost in the new year? At Optiminds, you’ll find individualized tutoring and brain training programs tailored to people of all ages—from children to high school and college students to baby boomers. We can customize a program to address specific issues ranging from ADHD and Alzheimer’s to math, memory, reading and home schooling. 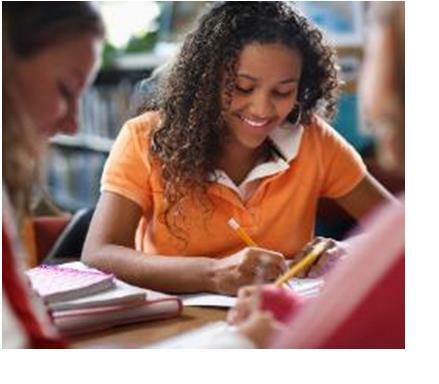 Optiminds also offers ACT and SAT testing assistance. And we’ve recently added College Counseling and Athletic College Prep counseling to our offerings. You might also want to give the gift of summer camp with our Optiminds Cognitive Camp, designed to help students keep their brains in shape over the summer. Optiminds offers customized tutoring programs for students, including students who are home schooled. We have earned a reputation for helping to improve the study, reading, math and cognitive skills of students of all ages in the metro Detroit area. Learn more about us by calling us today at (248) 496-0150 or by visiting us at: optimindsct.com. We are learning more about the human brain every day, but there is still much about it that remains a mystery. One thing we do know is that our brains can deteriorate if we don’t take care of them. Eat brain-healthy foods—Choose foods that are lower in fats and cholesterol. Increase your intake of dark fruits and vegetables, fish and lean proteins. 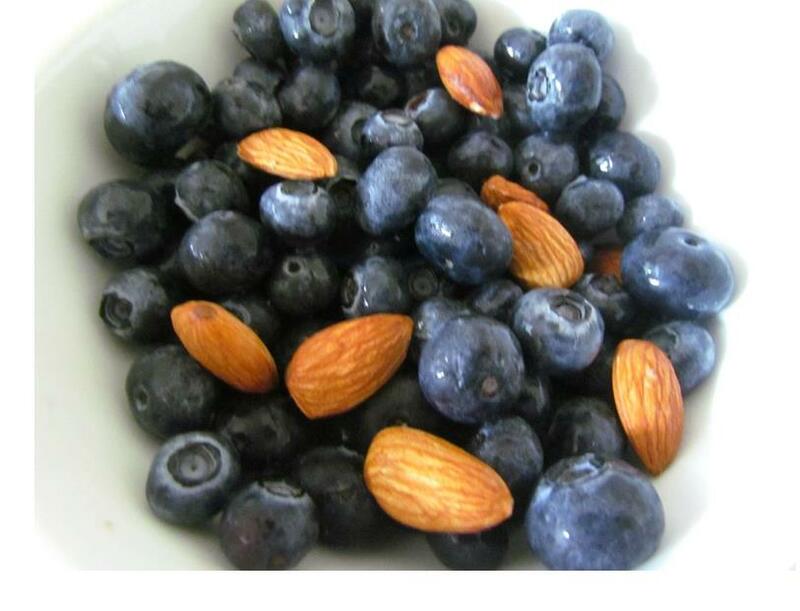 Instead of candy, snack on almonds and blueberries. Healthy snacks can lower blood sugar and improve cognition. Also, the Omega-3s in walnuts have been found to improve mood and calm inflammation that may lead to brain-cell death. Read for half an hour a day— The Mayo Clinic Study of Aging found that reading books (in addition to other cognitive activities) can lead to a 50 percent decrease in your chances of developing dementia. Exercise—Walking your dog or yourself for just 20 minutes a day can lower blood sugar and increase blood flow to the brain so you can think more clearly. Don’t forget about dancing. Learning new moves activates brain motor centers that form new neural connections. Be a social animal—According to the Yale Medical Center, people who sustain close friendships and continue to socialize live longer. Become a student again—Challenge your mind by taking courses at your local college, university, community college or adult education center. Many institutions offer discounts for senior students. Learn a musical instrument—Recent studies show that after only four months of playing an instrument an hour a week, seniors experienced improvements in the areas of the brain that control hearing, memory and hand movement. Improve your powers of observation—Stare straight ahead and see if you can make out what’s at the periphery. Walk down the street and scan to the left and right. These actions activate rarely used areas of the brain that can atrophy if not used enough. Get out of your comfort zone—Try tasks that are opposite your natural skills. If you like numbers, learn to draw. If you love language, try logic puzzles. Write it down—Research shows that handwriting helps stimulate the areas of the brain that deal with thinking, language and memory. Write stories or keep a daily journal for starters. Sleep—Seven or eight hours of good sleep a night helps prevent memory loss and gives the brain to relax and process things you learned during the day. Optiminds has earned a reputation for helping to improve the study, reading, math and cognitive skills of students of all ages. We also have specialists in college counseling and athletic college prep counseling on our staff. Learn more about us by calling us today at (248) 496-0150 or by visiting us at: optimindsct.com. Keeping children occupied and happy while you are driving can be a challenge for busy parents. Following are some suggestions for engaging the kids mentally, whether you are making the rounds in town or on an extended road trip. Obviously, it’s better and safer if some of the games are conducted by the adult who isn’t the driver. Have your children write down the license plate numbers, make and model, and color of passing cars. Two or more kids can compare who has the most entries in 10 minutes. Ask your children say the alphabet backwards, spell their full name (first, middle, and last) backwards, or recite the pledge of allegiance backwards. Try “category” games. For example, have the kids list—in one minute—all of the colors they know. Try other categories such as breeds of dogs, words that mean red, words that mean small, etc. Make the task harder by having them clip paperclips together while listing things in a category. Make several lists of common words. At first, only one word and ask your children to repeat it. Give them two words and ask them to repeat both words. Keep adding additional words until it looks like the children have reached their capacity for remembering. Keep two or more identical U.S. maps in the car. Starting with your home state, give your kids directions and ask them to follow on the map. Then move to the two states to the east, west, etc. Ask them to find the capital city of the state you are traveling to. Using paper and a pencil, give your children a time on the clock, such as 11:15 am. Ask them to draw that time on a traditional clock face with minute and hour hand, and then show how the same time would appear on a digital clock. Next tell them to draw the clock as it would appear in 6 hours and thirty minutes. 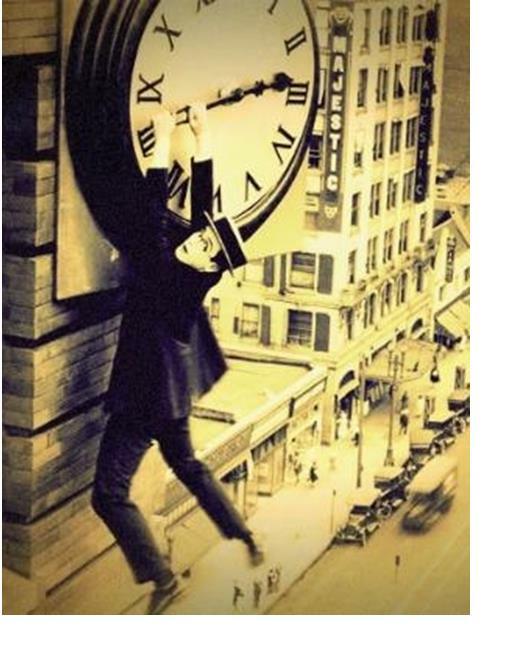 Draw the clock as it appeared 2 hours and 10 minutes ago. We know that people who don’t get enough shut-eye have trouble learning and making decisions, and are slower to react. But despite decades of research, scientists have not been able to agree on the basic purpose of sleep, with explanations ranging from processing memory to saving energy to regulating the body. But now, the long held assumption that sleep serves a vital function has gained new support with a recent study by scientists at the University of Rochester Medical Center suggesting that when we close our eyes, our brains go on a cleaning spree. The research team had previously found a plumbing network in mouse brains that flushes out cellular waste. For the new study, the scientists injected the brains of mice with beta-amyloid, a substance that builds up in Alzheimer’s disease, and followed its movement. They determined that the potentially neurotoxic substance was removed faster from the brains of sleeping mice than awake mice. The team also noticed that brain cells tend to shrink during sleep, which widens the space between the cells. This allows waste to pass through that space more easily. Scientists say there is reason to think the same “housekeeping” process happens in humans. Among other things, the results may provide new clues to slowing the progression of Alzheimer’s disease and other mind disorders.